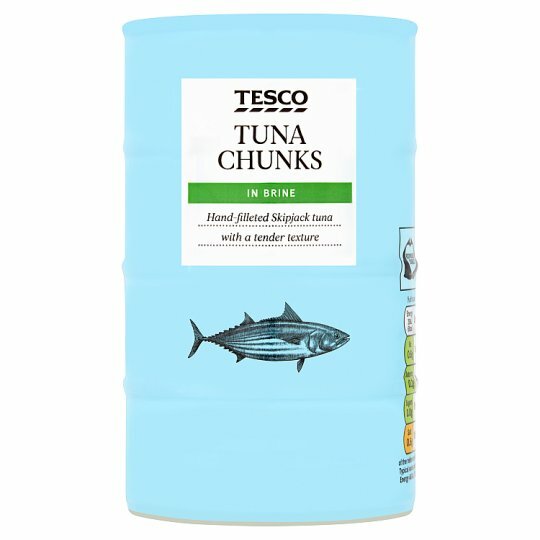 Skipjack tuna chunks in brine. Store in a cool, dry place. Once opened transfer unused contents into a non-metallic container, cover and keep refrigerated.Consume within 2 days.